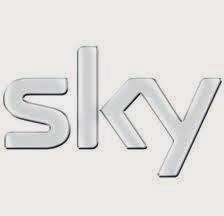 Sky HD boxes appear to be receiving an update that allows viewers to add other regional/national BBC and ITV HD channels. Until now, services broadcast on a satellite transponder with a symbol rate of "23000" (or 23.0 Mbaud) - usually HD channels - have been unavailable on Sky HD boxes for manual tuning purposes. Unrestricted manual tuning of other regional/national variants of HD channels has until now only been available on most Freesat receivers and generic satellite boxes. A new software update, which is in the process of being rolled out, changes this. Users report that with the update, they are now able to add other HD channels via the options menu on their box thanks to the addition of a "23.0 Mbaud" option on the screen that allows viewers to input the satellite transmission parameters. Viewers who have not had an update will need to wait until it is rolled out to their box. Exact timescales for the roll out are not known. The lack of the "23000" symbol rate (or 23.0 Mbaud) option meant, for example, that viewers in the STV region weren't able to manually tune in ITV HD on Sky following recent changes to the frequencies used by the regional variants of ITV HD on satellite. Details for ITV/UTV/STV services are here, and BBC manual tuning information is here. Press services (for Options), press down then select the Add Channels tab. Enter the transmission parameters found on the a516digital manual tuning pages (frequency, polarisation etc) and press yellow. After a moment, a selection of channels found by the receiver appears. yellow. A tick appears next to the channel name. Press select to complete the task. Reminder: Viewers need to have had the software update. Roll out of the update is expected to be completed by the end of the year.